We take for granted the bird’s-eye view of developing weather systems that satellites provide. Forecasters use the orbiters to monitor shifting weather systems, including thunderstorms, hurricanes, and winter storms. And, thanks to the web, anyone can access quality satellite images with just a few mouse clicks. Meteorology, like every other science, relies on careful and precise measurement of its subject. 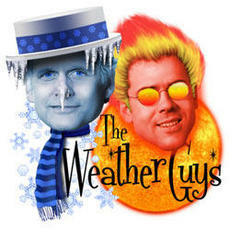 Meteorologists observe the atmosphere using two basic approaches. Direct methods, also called in situ for “in place,” measure the properties of the air that are in contact with the instrument being used. Indirect methods, also referred to as "remote sensing," obtain information without coming into physical contact with the region of the atmosphere being measured. Launching satellites into space equipped with remote sensing instruments allows us to continuously monitor planet Earth from afar. Researchers at the Cooperative Institute for Meteorological Satellite Studies, or CIMSS, work to find new ways to use satellite data in weather and climate forecasts. 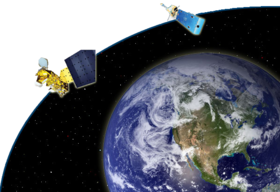 We also help NOAA and NASA in the planning of the future weather satellites. Explore the answers to some interesting weather questions! Why did we get so much snow over the weekend?